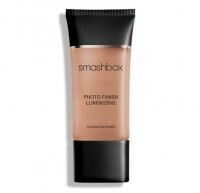 This long-awaited addition to our legendary collection of Photo Finish primers adds just the right amount of luminosity. The velvety, oil-free formula helps fill in fine lines and pores with age-fighting antioxidants, such as green tea, grape seed extract and vitamins A, C and E. And, of course, it extends the wear of foundation. It has a light moose like texture and a littlke goes a very long way. It applies really easily to skin leaving it looking flawless and feeling really soft. It gives some lumescence to the skin and looks great on its own or provides a lovely base for your foundation. my skin looked absolutely flawless and fresh with this primer. "This primer is great. It has a light moose like texture and a littlke goes a very long way. It applies really easily to skin..."